At New Beginnings all of our teams are professionally trained technicians. We will extract and properly dispose of any part of a structure that has been damaged; burned and charred walls, floors and all other debris caused by fire damage. 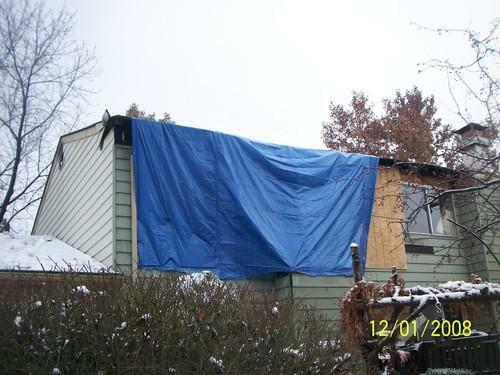 Restoration within the home or business structure must be dealt with in a timely matter. Once all debris is removed the reconstruction process can begin. Construction crews will come in and evaluate structure from the ground up if necessary. All restoration projects are started quickly to prevent any secondary damages. Proper personal protection equipment (PPE) is used to make sure our contractors and our clients are safe at all times. 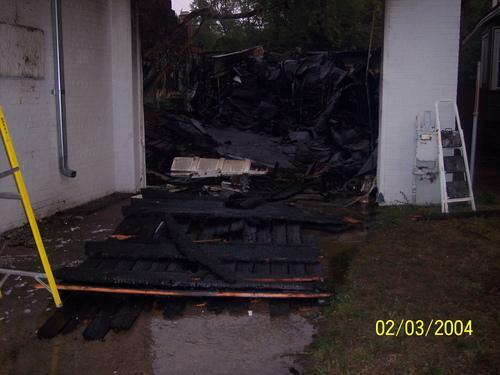 Trust us to restore any fire damages and to help you with any type of restoration projects you are in need of. We will provide you with our expert services, we are on call 24/7 call us at 866-287-0892. At New Beginnings we know experiencing a fire can be overwhelming. Smoke damages, fire clean up, mold remediation, content restoration, electronic restoration, reconstruction and emergency board ups are just a few of the restoration services we can perform for you. Moving quickly after a fire is important, soot partials and microbial growth can spread if damage isn’t properly contained. Our technicians will provide you with an inspection that is always up to code and follows all rules and regulations provided by OSHA. Proper personal protection equipment (PPE) is mandatory for a safe work environment. All areas of the structure must be evaluated to insure there is no risk of cross contaminates, such as a HVAC not being properly inspected after a fire this can cause what’s called a “puff back”, which will release soot partials back into the air once turned back on. Our professionally trained workers are on call 24/7 for your emergency restoration needs at 866-287-0892. Loss from a fire can be devastating, our trained professionals at New Beginnings we are sympathetic to your losses and can assure your property to be safe and secured during our restoration process. Our goal is to restore your structure as close as possible to its original pre-existing state. However some materials can not be saved and will have to be replaced. We offer on site cleaning for areas that can be restored, pack out for items that need be removed from site and cleaned to avoid further soot damage. We will have your salvageable items cleaned such as furniture, if it can be restored as well as clothing, dishes and books- just to mention a few. Valuable items can be stored in lock boxes to insure safety. All our technicians have been through an extensive back ground check to insure the safety of your properties. Although you can never be fully prepared for a fire, keeping your most important documents in a fire safe container is always recommended. Call us 24/7 @ 866-287-0892. Fire restoration is a multi-phased process, it’s important to start the clean up process in a timely matter to prevent any secondary damages; mold is a big factor if damages aren’t immediately treated. Mold can set in within the first 12 to 24 hours and visible mold spores can form by 48 hours, in which the Environmental Protection Agency (EPA) or abatement team must be called in to properly contain and insure safety of all individuals. Sometimes homeowners become overly anxious to begin the clean up process, however unless you seek professional advice you may be doing more harm than good. Call New Beginnings today available to you 24/7 365 @ 866-287-0892. At New Beginnings we always promise to provide you with the best fire restoration support and help you expect and deserve while keeping your health and safety our top main concern. Many times there are often unforeseen risks associated with fire damage that you may not be aware of. Some damages are water damage from putting out the flames and structural damage from burnt beams.